There are very few films that accurately depict what I think love really is, because, over time and experience, I’ve learned that nothing’s perfect and not everything has a happy ending. I don’t necessarily believe in soulmates, or that there’s one right person for everyone. But I do believe (or I guess trust) that two people can stay together forever. For me, the perfect love story has always been Fever Pitch. Now don’t laugh – I’m serious! Have you ever loved someone enough to run across the field at Fenway Park? During a playoff game? Against the Yankees?? If you’re saying yes, then you’re lucky. So last night I went and saw Date Night with Tina Fey and Steve Carell. Now, clearly I’ve never been married (I don’t think that time in Vegas was actually legal…), but I have parents, and I know what a long relationship looks like. 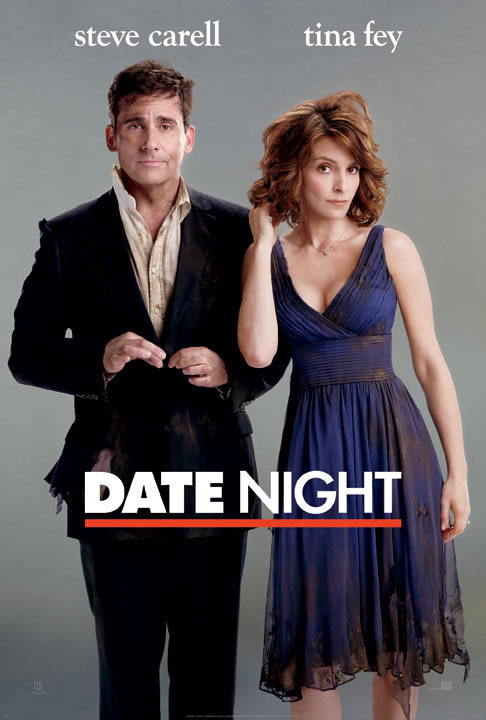 Fey and Carell play a couple who just want a night out on the town, without their children, or their jobs, or any of the life stuff that gets in the way. They end up dressed like a pimp and hoe on a rooftop overlooking Manhattan, but I don’t want to give too much away. The thing that touched me about Date Night is the whole idea of going home. Now this is going to sound completely insane, but there’s a scene where Steve Carell is holding James Franco and Mila Kunis at gunpoint. Franco and Kunis play a grungy/greasy/druggie couple named Taste and Whip-It…respectively. Together, the two have to flee their apartment, and Kunis hesitates because she doesn’t want to leave her home. Franco, pointing to his heart, says “this is your home.” I seriously could have cried. I probably didn’t because all I could look at was the scary-real tatoo of Mila Kunis’ face on James Franco’s chest, but the sentiment was touching nonetheless. For me, when you love someone, it doesn’t matter where you are, or how scared you may be, as long as that other person is there. When you love someone, you have to be willing to give up everything, and trust that the person you love won’t let you. When you love someone, they become your family, and that’s a bond that never breaks. I could totally be reading more into these movies than necessary. I could be searching for meaning in romantic drivel. But these movies show that love is not easy. Love ebbs and flows and takes work. Love is selling your Red Sox tickets. Love is holding a druggie couple hostage at gunpoint. Love is dressing up like a pimp. And, love is definitely running onto the field at Fenway Park, in the middle of an ALCS game against the Yankees. Love is a willingness to be ridiculous. And love is home. Very beautiful…love is when you know without even one bit of hesitation that, if you had to, you would throw yourself in front of car for the other person and you trust that they would do the same.